Some listeners are unhappy with recent changes to BBC Radio 2’s Drivetime show. But is it really that bad, or are radio audiences particularly resistant to change? Chris Evans, Ken Bruce, Jeremy Vine, Steve Wright and Simon Mayo have several things in common. All are men. All are white. All are over the age of 50. And all present a daytime show on Radio 2. But the station’s male-skewing weekday schedule was given a shake-up in January, when it was announced that evening presenter Jo Whiley would be joining Mayo’s programme as a co-host. “You can see what the bosses at Radio 2 were thinking,” wrote Catherine Nixey in The Times. “Drivetime looks like such an easy gig. “All you have to do is play a few records, sound genial when Glenda rings in with a request and produce a bit of banter between the traffic and travel. It’s everyman radio. Surely every man – even every woman – can do it? Both Whiley and Mayo are experienced presenters with decades of BBC radio behind them. But, some listeners suggested, the chemistry just wasn’t right when they were put together. “We acknowledge some regular listeners are unhappy with the changes,” Radio 2 said in its official response to complaints. Miranda Sawyer, The Observer’s radio and podcast critic, agrees that the new Drivetime show is simply taking time to find its feet. “It’s definitely improved,” she tells BBC News. “These things always improve because people get used to each other. And it does take a long time, because you’ve essentially got two incredibly gifted presenters working their way around each other. 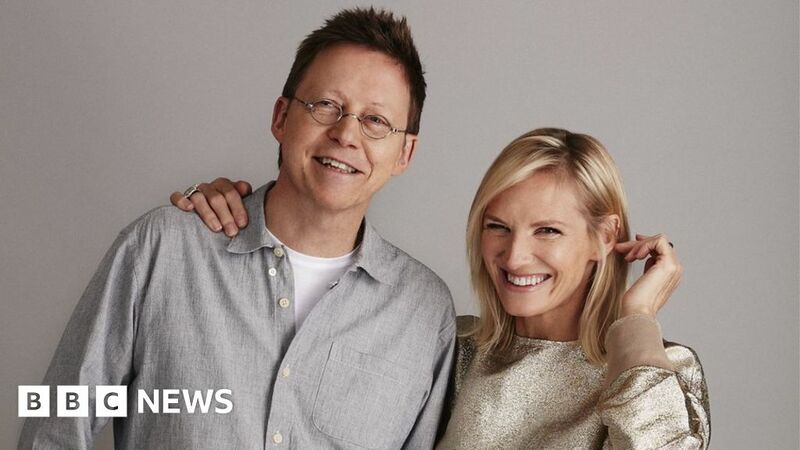 Radio 2 wasn’t short of female presenters prior to Whiley’s arrival, but none was a fixture in the daytime schedule. Sara Cox, Zoe Ball, Liza Tarbuck, Vanessa Feltz and Claudia Winkleman are all popular with listeners, but all have weekend, overnight or evening slots. While many support a drive for more daytime diversity, listener Catherine Dennison described the new Drivetime show as a “failed gender equality experiment”. “Please don’t fob us off with a bland executive who says ‘it’s time for a change, give the show a chance’, blah blah. It is a dead duck,” she told Radio 4’s Feedback. In response, Radio 2 chief Lewis Carnie argued radio audiences in particular are always resistant to change. “People are happy to make a very quick judgement on it, but no show ends up where it starts,” he said. One of the reasons radio audiences are more resistant to change than on other platforms, Sawyer argues, is that listeners build their daily routine around radio. “Any time the Today programme does anything different everybody just goes mad, because they’re used to things happening at a certain time and presented in a certain way,” she says. “And there’s the same with other radio shows, especially around tea-time, because a lot of people are listening to it while they’re preparing tea or picking kids up. While the schedule change may have been the first step in solving that problem, some argued the quality of the show itself should’ve come first. In her review, Nixey said Whiley and Mayo sounded like they were on an “awkward first date”, commenting that “neither seems to be able to time their speech with the other”. But speaking on his show last week, Chris Evans recalled: “I remember, when I took over Drivetime – before Simon did it, I did it for four or five years before him – and the number of complaints we got then was unprecedented. “Because that’s what happens when you change a radio show, especially on a station like this. When the schedule change was announced in January, much was made of the fact that Mayo and Whiley would be paid the same, in light of the BBC’s gender pay gap controversy. Having two presenters means the show is now considerably more expensive to produce, and Carnie said Radio 2 had “made efficiencies elsewhere to raise the money to do it”. But, he added, Drivetime has been extended by an hour, which means the station isn’t paying another DJ to fill the 7-8pm slot. Whiley and Mayo’s listening figures won’t be known until later this year, once they’ve jointly presented for a full quarter. Even if the number of complaints is still high? “We’ll certainly look at it, of course we would. But it will take six months for a show of this stature to find its feet and bed in. “That is a normal period of time we would expect to find out where this show is going to end up, it’s going to be what we want.